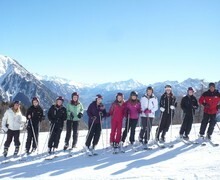 Skiing has found its solid place at Invicta Grammar School. 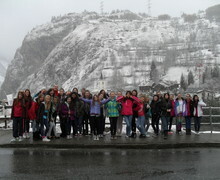 It is a very popular trip with students of all age. Skiing is an individual rather than team sport and has no intrinsic element of competition. The trip makes valuable contributions to the acquisition of physical skill and knowledge, personal and social development, environmental awareness and is accessible to everyone. Meeting personal challenges; students learn to face their fears and may push their own limits safely and successfully. Living and working together gives pupils the chance to identify the strengths and weaknesses of themselves and others, developing relationships with each other and their leaders. In a new environment, prejudices that may have previously been evident are often overcome as students progress together. Snow sport can provide many moments that have a very special and lasting effect. Students also have the opportunity to be filmed by the trip provider for GCSE/ A-Level assessments. 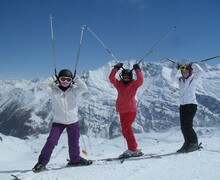 Ski trips take place every Spring Term and are open to all year groups.